The perfect gift for a family member or loved one. Whether it be wedding anniversary, birthday or special occasion this 7-piece set from the Wusthof Grand Prix II series is guaranteed to be the centerpiece of any kitchen. 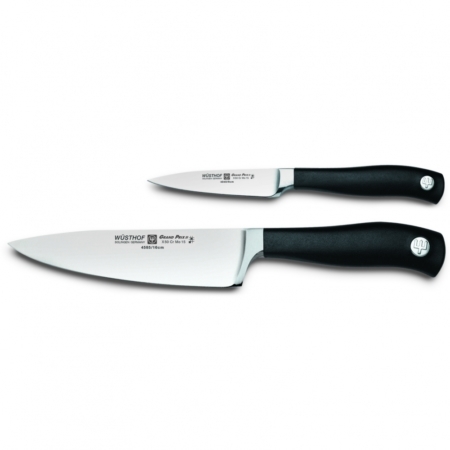 Equipped with world-class knives of the Wusthof Grand Prix II series, you’ll be prepared for any task your culinary adventures can throw at you. I bought this set a year ago and I love it! Before purchasing the set I used steak knives to cut everything, it’s safe to say my knife skills have increased significantly since owning this set.